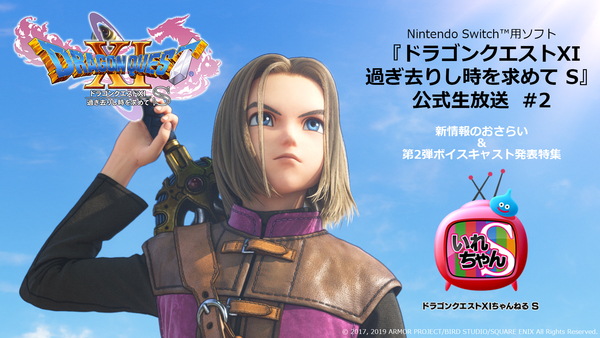 Square-Enix has announced a second Dragon Quest XI: Echoes of an Elusive Age S live-stream broadcast for Japan. This one takes place on March 27th, 2019, and will include the entire voice cast for the game, alongside some of the dev team. This presentation is going to focus in on showing some gameplay for the content that was featured in the last Nintendo Direct.